Everyone knows of the incredible, edible egg. This “miracle food” offers an assortment of benefits that range from the basic (excellent nutrition, essential calories) to the health-oriented (immune support, anti-microbial properties) to the functional and substantial (improved texture, binding abilities). If you’re interested in incorporating an exceptional egg product into your pet foods or treats, you will be steered toward dried egg products due to their longevity. Dry eggs (in a powdered form) offer all of the benefits of whole, fresh eggs, but they also boast a lengthy shelf life. OvaBind™ (Patent No. 8,916,156): This functional portfolio of products includes egg-based binding agents for both wet and dry pet food applications. If you’re having trouble getting your ingredients to bind together and form a cohesive structure, Ovabind™ (Patent No. 8,916,156) can help. OvaZyme™: This functional ingredient makes use of hydrolyzed egg phospholipids to enhance processing and shelf stability of pet foods and treats. Egg Nutritional Products: We offer a range of affordable and customizable nutritional products with protein levels stretching from 46% to 80%. The starting option, Ova 46, replicates the protein and fatty-acid content of a whole egg, while the Ova 55 offers slightly more protein. Ova 70 balances protein, fat, and ash to give formulators flexibility. Finally, Ova 80 features high concentrations of proteins while retaining excellent digestibility, making it perfect for veterinary applications. Customizable OvaTrition™: We understand that our products may not suit your pet food’s specific needs and goals. If you’re struggling to find the right choice amongst these egg products, ask about OvaTrition™. This is a customizable option with adjustable levels of protein, fat, and ash, so it can be designed to meet the needs of your formulation. All of our dried egg products feature high-quality ingredients and offer cost-effective solutions. 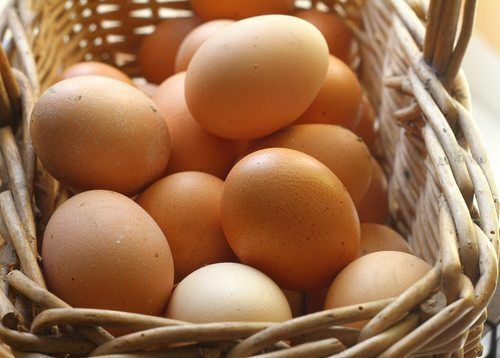 Amongst our animal health products, functional products, and nutritional products, you’re sure to find incredible egg products that complete your formulation requirements. To learn more about our egg products and how they can be customized and enhanced to suit your specific needs, please contact IsoNova® today.